A few weeks ago I found this little pile of special red duplex paper in my stash. I bought it years ago from a store that indicated that this paper was used by their Chinese community for Chinese New Year celebrations. It symbolizes good fortune and joy!! Having recently become more aware of the Chinese New Year I did a google search and found that it is a country wide festival/celebration where people make every effort to go home and bring in the new year with their extended families. 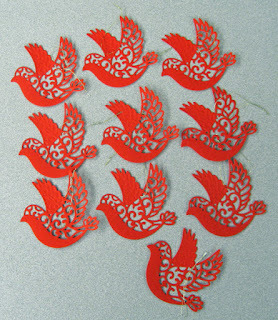 They let go of the old year and welcome the new year wishing everyone good fortune and joy with little gifts in red envelopes. 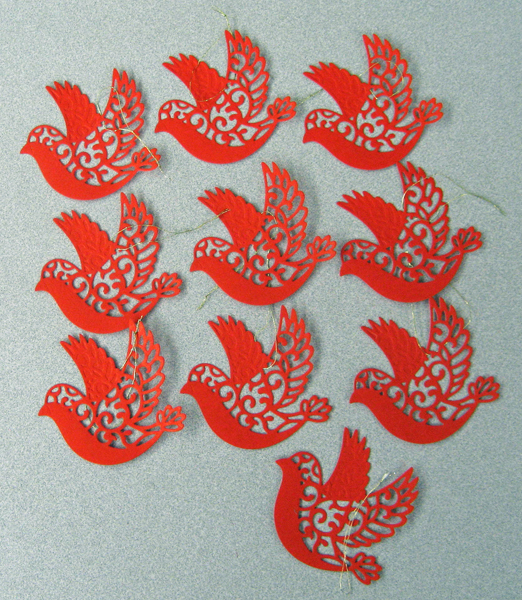 So I have decided to wish my friends and special others good fortune and joy with little red dove die cut (Spellbinders) ornaments made out of this special paper. 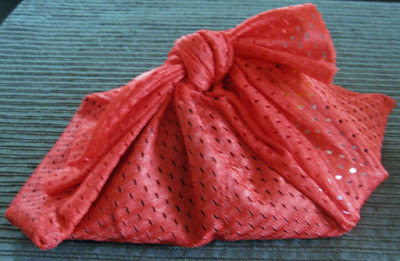 I added a simple gold thread hanger which made these very quick and easy!! The paper is scented which just adds a little something to these ornaments. 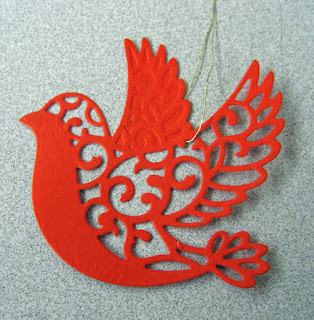 They would look great on the Christmas tree but are beautiful enough to hang anywhere year around as a reminder to keep an eye out for the good fortune and joy that is coming their way.